Walk away with an idea…then execute. In October, Ed, Kathleen and I had the opportunity to visit Vera Wang’s show room for a private viewing of her Fall 2013 bridal collection. What a treat that was. Her whole collection was very feminine with big ball skirts, lots of lace and intricate details. Her whole collection was inspirational. These are a few of the beautiful details we were able to see up close. Of course Ed walked away with a million ideas. He translated his visit into a beautiful bouquet of sweet peas, hydrangea, spray roses and sculpted flowers out of silk organza and a raw silk textured fabrics. The end result is breathtaking. Light, airy and full of whimsy. A beautiful bouquet for any bride! 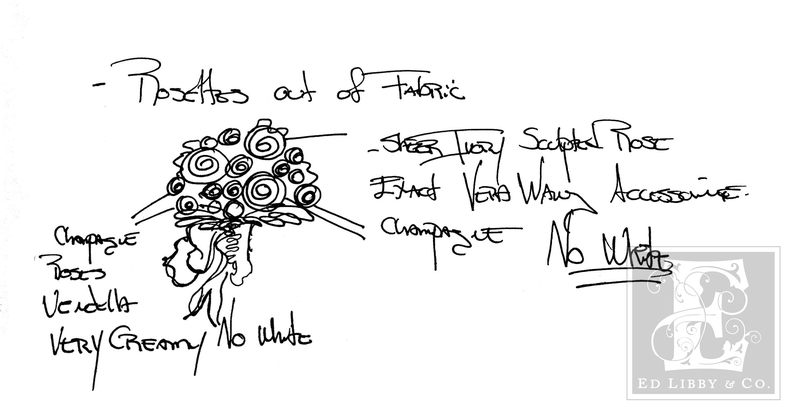 After being inspired by Vera’s collection, Ed designed this bridal bouquet. Our finished product. 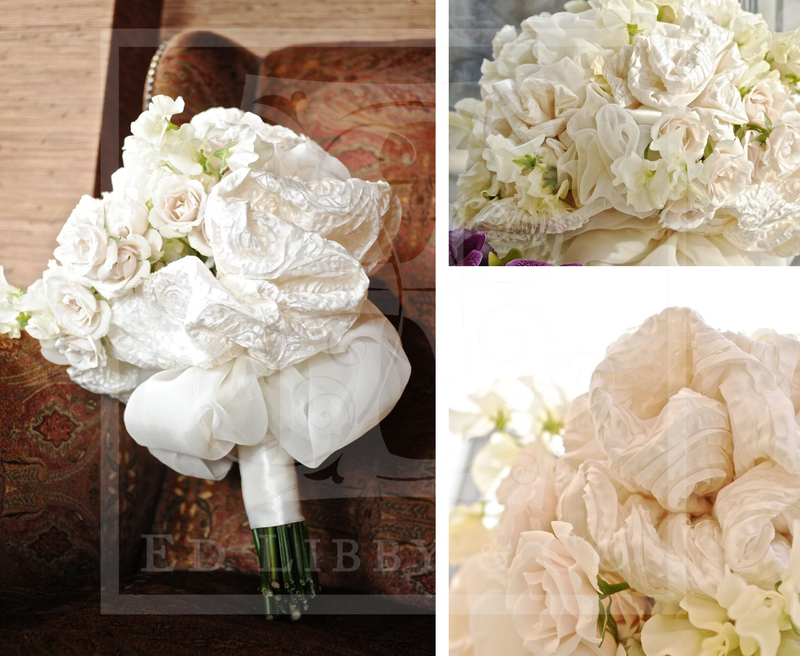 The textures in this bouquet are light and airy and would be a nice compliment to any bridal ensemble. Goof heavens! Those dresses are to die for!